Stunning Concours condition inside and out. Totally immaculate with only 19,000+ genuine miles (still used by ourselves), with Full Aston Martin Franchise Dealer Service History. Sold new by Aston Martin of Mayfair. Current 20 inch expensive DBS lookalike special forged alloys & new Tyres 255/35/20 & 295/30/20, can be replaced with genuine DBS Alloys at extra cost, with original DBS cover. 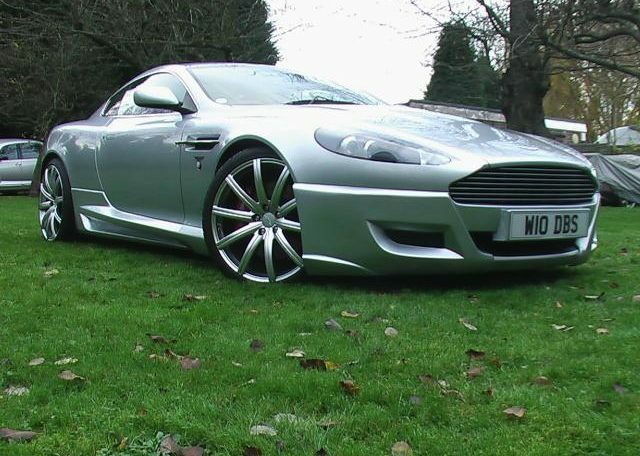 Car has been expensively tuned to add approx 30BHP to standard DB9 Power, to bring it up to nearer DBS Power rating. 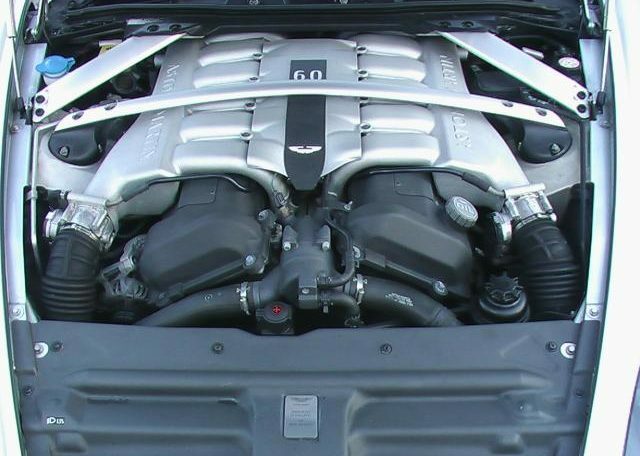 Engine can be further Performance enhanced, but not recommended, as this car is already amazingly responsive and fast enough; with its super silk smooth 6 Litre V12 500 BHP. Please add a subsidised negotiable cost for a set of new original DBS rear WHITE LIGHTS! (Normally £1,100 supply & fit incl Vat). Highly recommended, especially with this brilliant LIGHTNING Silver! 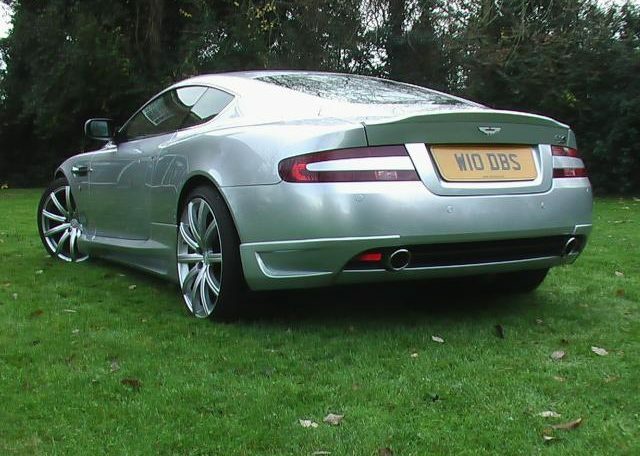 Apart from the DBS type Bodystyling; the suspension was adjusted to DBS Level and fine-tuned to DBS standard and exhaust adjusted to DBS performance, which makes this car handle with better agility & perform much better than a normal DB9; more like a DBS in fact. 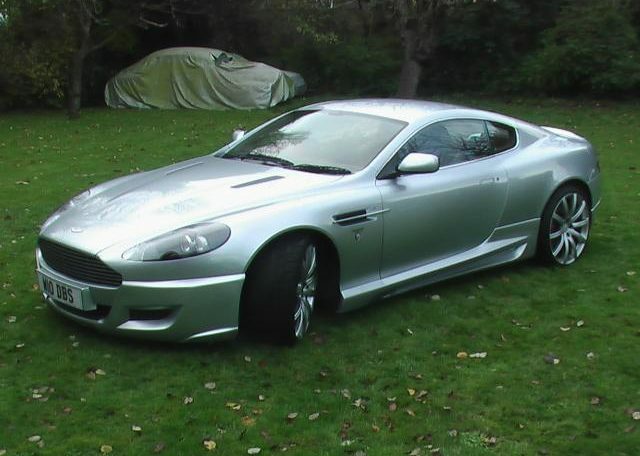 With the seven DBS type Bodystyling panels already perfectly professionally installed (looks totally natural for the car), with guaranteed perfect fit and match-up; further enhancements may also be applied, but cost approx £4,000 or so more to buy, as they are expensive Carbon Fibre parts; original bonnet and rear diffuser. Needless to say a New DBS fully loaded would cost you £180,000 and a Used TOUCHTRONIC 2 DBS with similar mileage, will probably cost £130,000 or a bit less, to buy now! A DB9 costs new, nearly £130,000, so with all the other expense, a couple of Buyers have spent around £155,000 over different periods of time on this vehicle! Well it certainly makes our Aston unique, to say the least. 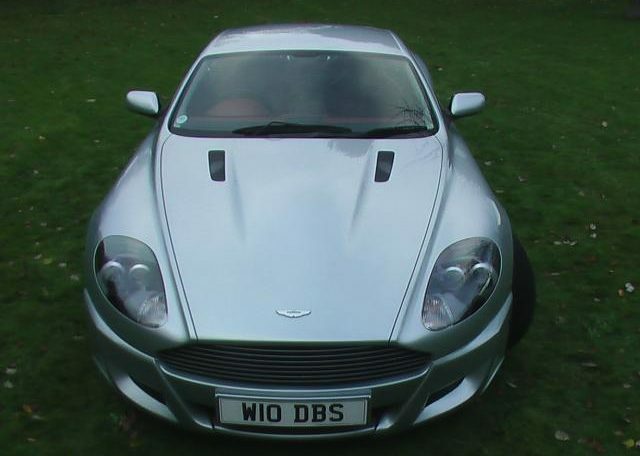 Car is Badged with original DBS Badges, and an appropriate Number Plate, that reads like, “Who’s DBS”; (over £1K retail value including vat). Car has a perfect 50:50 weight distribution, as it is a front “mid-engine” V12 installation and a rear installed 6 Speed ZF Auto with F1 Style Paddle Shift. Each car has undergone 200 Hours of Hand-Building by skilled craftsman; quite simply, fantastic! Car is already badged as a DBS because of its perceived appearance, but this can be removed, if a Buyer requests it, but it does not look out of place at all, in fact suits the car perfectly! 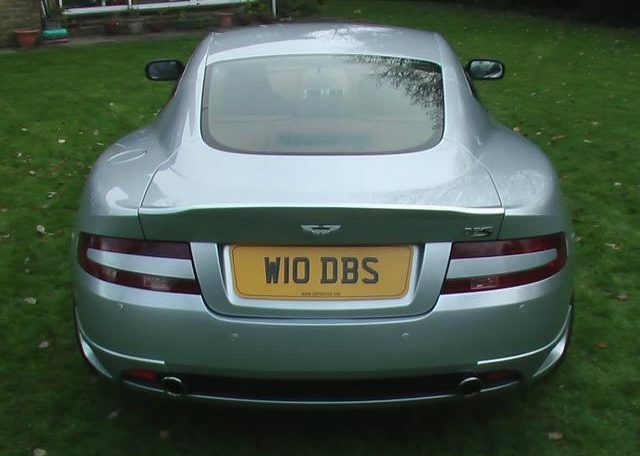 The Private Cherished Number Plate, that says “WHO’S DBS?”, is available with the car at its asking price, or a discount can be given if this is not required. Immaculate unmarked interior & exterior with additional ARMOURFEND “Stone chip” paint protection clear screen over the vehicle. Tyres like new. 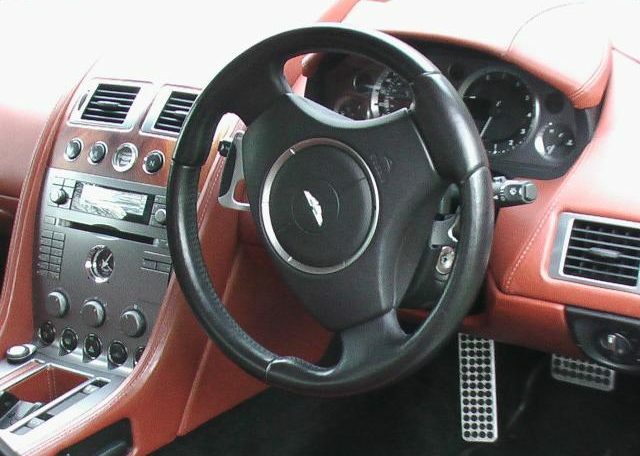 Touchtronic 2 Auto with Paddle Shift Steering Column Controls (F1 Style), with adjustable suspension. 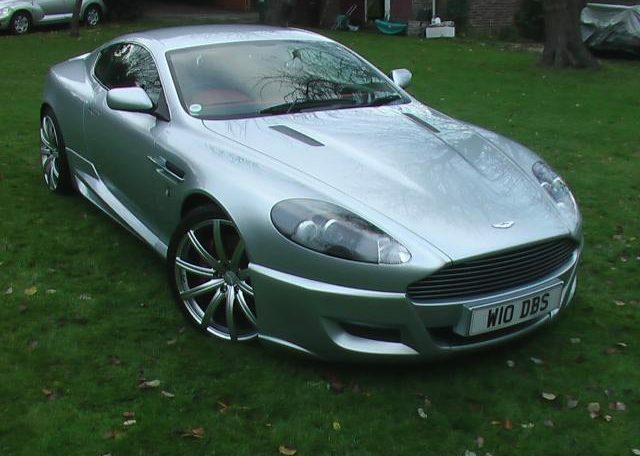 There was an additional Registered previous Owner as well; Aston Martin Dealer “BROUGHTONS of CHELTENHAM” in August 2007; (with a £3,000+ Invoice at 10,451 miles). 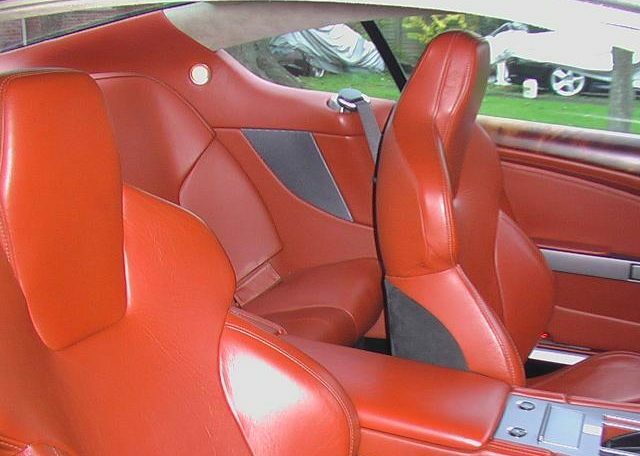 It was last year fully serviced by Official Aston Martin Dealer of Belfast, Northern Ireland; CHARLES HURST, at a cost of £1,700, at a mileage of only 19,466 miles! So has been driven very few miles since. It has 6 Service Stamps by Official Aston Martin Dealers in the Book. This is the nearest anyone can ever get to driving a Sensational Touchtronic 2 DBS, without spending nearly £130,000 on the cheapest USED ones currently available! 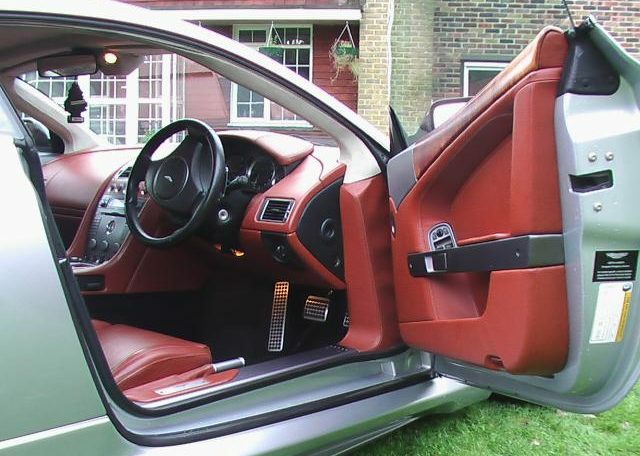 These cars will always be sought after, as they are rare, and they cost so much extra to convert, and the actual Touchtronic 2 DBS it imitates, costs nearly three times more to buy second hand!